You may need to reboot your browser. Brandi,I am so happy you are getting screen shot! Morgan says #CaseyAnthony should be treated like any other citizen. John Morgan says #CaseyAnthony wants special treatment because she and #Josebaez still seeking $$ to tell her story. 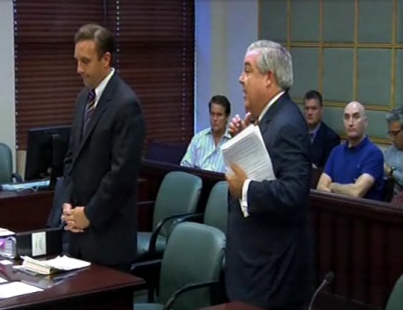 Morgan gives #CaseyAnthony civil lawyer a straight stare. Heated counter argument from Attorney John Morgan. Thanks Brandi, I had too many windows open while looking .Got it working now. Hearing over. Decision will come in 10 days. Munyon says she will rule in ten days or less. No #CaseyAnthony video today! Decision will be made within 10 days. Poll: How do you think Judge Munyon will rule? ORLANDO -- No decision has been made if a video deposition of Casey Anthony will be released to the public. 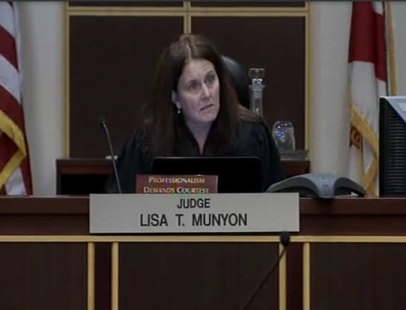 Circuit Judge Lisa Taylor Munyon heard arguments from Casey Anthony's civil attorneys, and lawyers for Zenaida Gonzalez, Thursday. The judge says she will make a decision in ten days or less. Alagary gave us a live stream link. I posted shots of the hearing. Thanks Alagary and Brandi. I came in too late to view it. Can't wait to see John Morgan in action! At a hearing on the matter Thursday, Morgan argued that if the deposition were sealed, Anthony would be receiving special treatment. "We want her to be treated no better and no worse than anyone else in Orange County," he said. Morgan argued that he represents other clients that have never had their depositions sealed. Munyon said she would rule on the matter within 10 days. I'd like to thank all of you kind monkeys for the links, tweets and pics in regard to releasing the deposition. I had to run out. But then I had the feeling there would be delays and we wouldn't get a decision today. Anyone else surprised? It's really tiresome that Casey continues to receive preferential treatment in the courts. JMHO I see Jim Lichtenstein was present. I'm wondering if he needs a twelve step program to help him with his Casey Anthony addiction? What was that he said about moving on?